There’s a lot of controversy in the cupcake world surrounding savory cupcakes. Some try to balance a savory-sweet combination, while others really are just dinner in a fun cupcake format. You may even remember Starry Night’s Corn Beef and Cabbage cupcake that we tried. We Crusaders appreciate all cupcakes, and different takes on savory versions are no different. Recently for dinner I wanted to make something new that my almost-toddler would also enjoy. 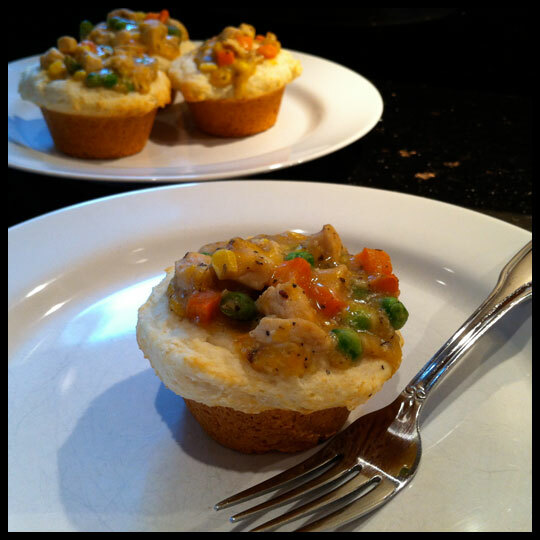 I scanned my Pinterest page for options and was reminded of Chicken Pot Pie cupcakes. The recipe I used was Quick Dish’s modified version of Between 3 Sisters’ recipe (and then further modified by yours truly). The recipe calls for packaged biscuits, but (in the absence of those) I decided to make Bisquick biscuits. The dough may have been a little more difficult to work with, but it still wasn’t too bad. I used a spoon to push the dough down into the cupcake pan and created a bowl shape. The recipe on Quick Dish also called for Herbs De Provence. Not being a seasoned cook, I had no idea what that was. Luckily I know how to use Google well and found out that I had most of the spices that make up Herbs De Provence in my pantry. Following the instructions, I whipped up the chicken filling and baked according to Bisquick’s recommended time. Out popped these perfect little pot pies, which were a huge hit. Many of you may know how hard it can be to feed a toddler, but Leah devoured hers! I’ve gotten some great meal ideas from Pinterest, and this is one that I plan on adding into our regular rotation of meals. 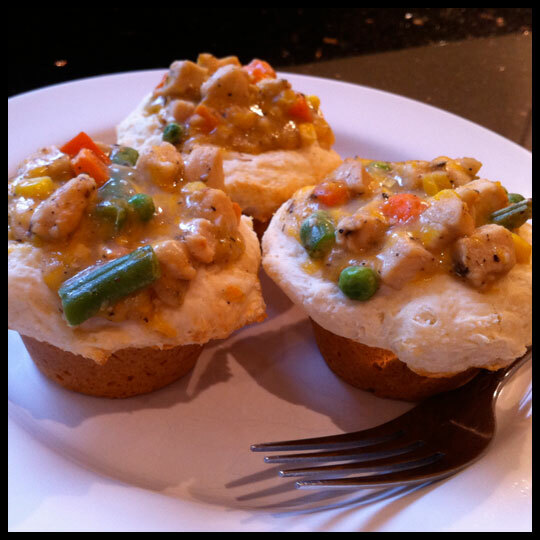 What do you think about savory cupcakes? Have you ever made a cupcake meal? If so, do you think savory can still count as a cupcake? 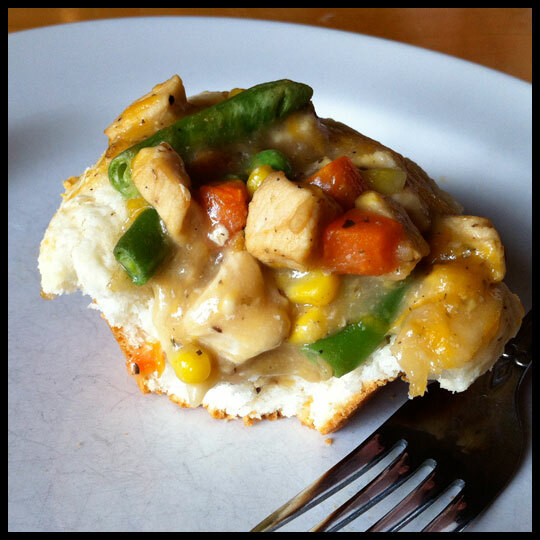 This entry was posted in Baking, Cupcakes and tagged Baking, chicken, cupcakes, pot pie, savory by Crusader Jenn. Bookmark the permalink. I’m definitely making these this week! I love the idea of savory cupcakes and they would be great as an appetizer.